AVAIL TO SHOW SATURDAY!! PERFECTLY PAIRED: LOCATION & BRICK CHARM IN DOGTOWN AREA! WHO DOES NOT LOVE THIS LOCATION, CLOSE TO EVERYTHING & FRANZ PARK TOO! 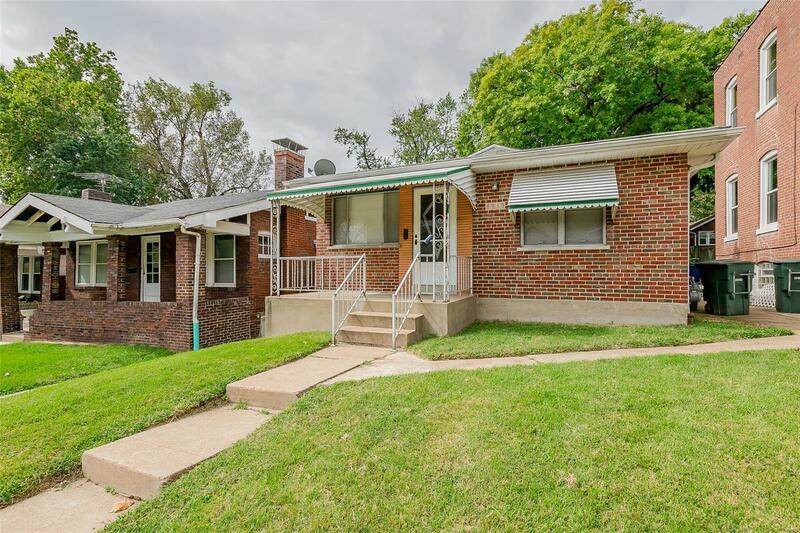 THIS IS A SOLID BRICK HOME PRICED FOR BUYERS' DESIRED UPDATES AS THIS HOME IS READY FOR A NEW HOMEOWNER TO CONTINUE W/THE LOVE IT ENJOYED SO FAR! THIS HOME HAS BEEN IN THIS FAMILY FOREVER, IT IS VERY WELL MAINTAINED & HAS ITS' ORIGINAL HARDWOOD FLOORS, NICER SIZED BEDROOMS W/CEILING FANS. ALSO A ROOMY KITCHEN READY FOR SOME COOL UPDATES...KITCHEN EXITS TO LEVEL BACK YARD /PATIO/BBQ AREA! MAIN LEVEL BATH HAS THE CHARACTER, CHARM EVERYONE LOVES & WILL WANT TO KEEP! THE LOWER LEVEL HAS ROOM FOR STORAGE, HAS A LARGER SIZED OFFICE OR BEDROOM W/HALF BATH..& LAUNDRY AREA TOO! THE BACKYARD HAS TWO STORAGE SHEDS, A PARKING PAD OR YOU COULD ENVISION THE GARAGE/CARPORT OR GARAGE-PORT POTENTIAL HERE! NICE LEVEL YARD & NICE NEIGHBORS MAKE THIS A PERFECT SPOT TO CALL HOME SOON! ROOF '04, HVAC SERVICED 2X ANNUALLY, INCLUDES 1YR 2-10 HOME WARRANTY!